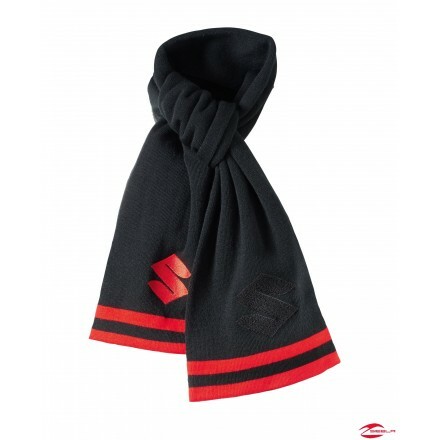 Black team scarf with red details and woven Suzuki logo, warm double-layer, 160x25 cm, 100 % acrylic. 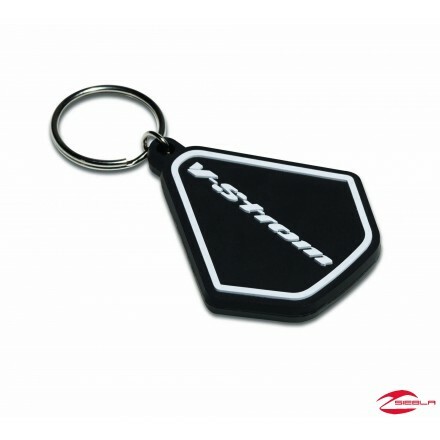 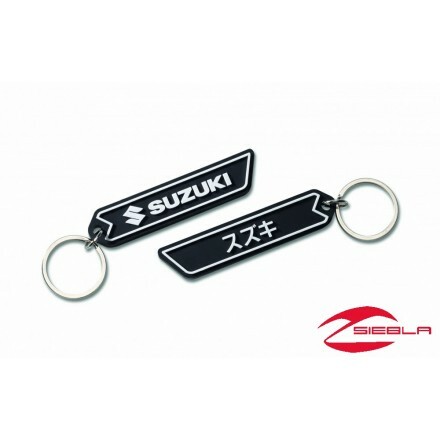 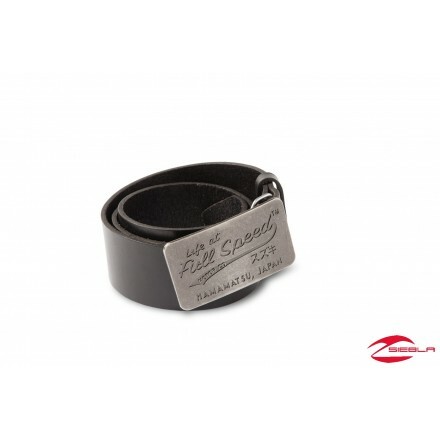 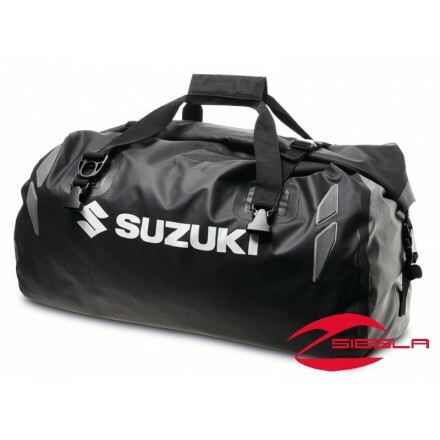 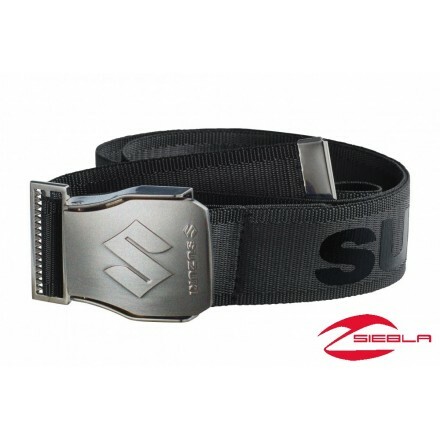 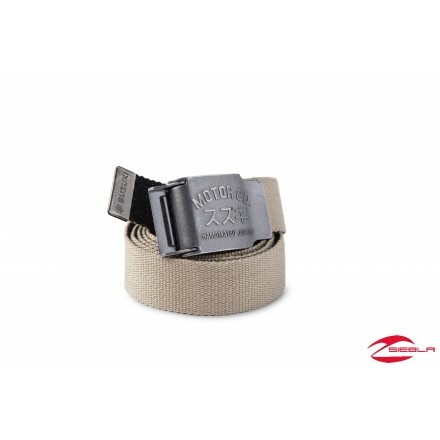 Black team belt, polished metal buckle with Suzuki logo, printed Suzuki logo on fabric, 100 % polyester fabric strap, 130 cm length, can be shortened individually. 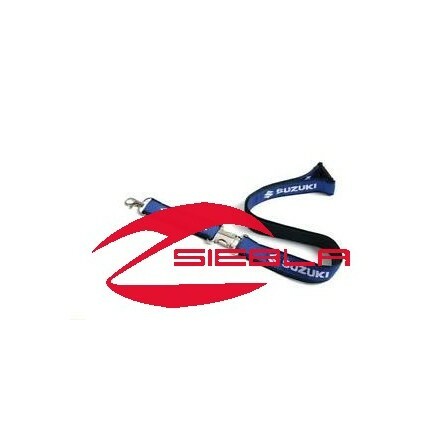 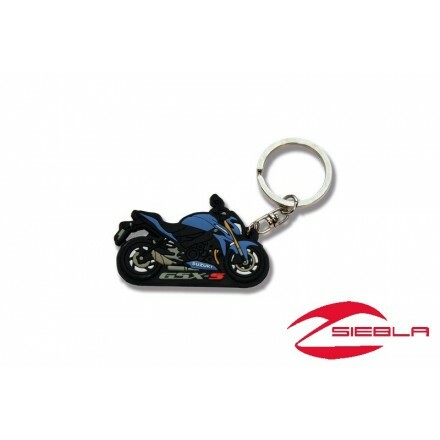 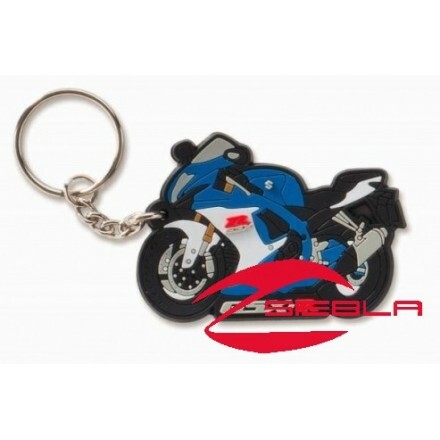 High quality blue lanyard, double-layer, metal buckle, metal latch. 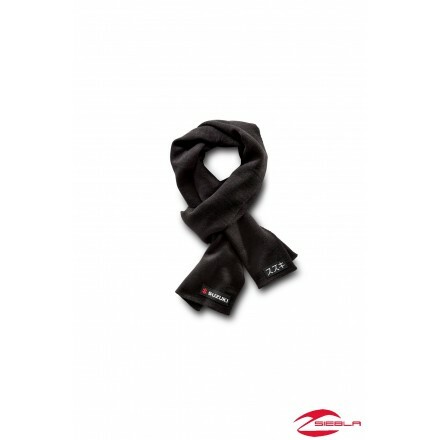 Black scarf complete with embroidered logos. 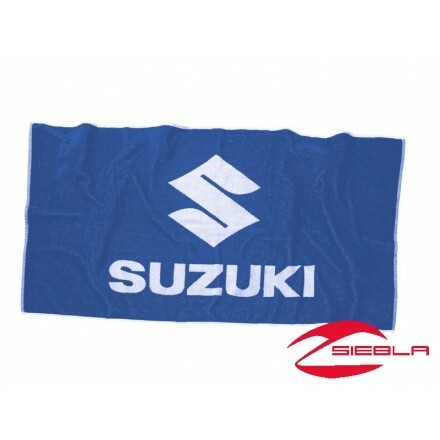 140 cm x 70 cm, 100 % cotton, 450 gr./m².